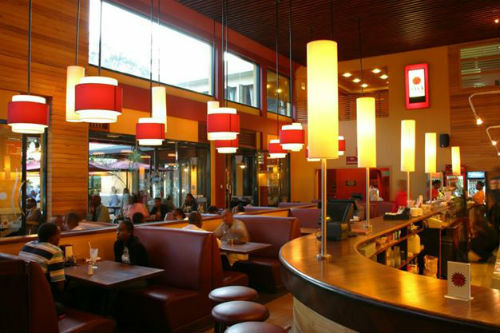 Kenya’s Java House, which has 36 coffee houses and restaurants in-and-around Nairobi plans to open more outlets across Africa in the next five years, to ride on the momentum of rising consumer spending in Africa, its Chief Executive Officer said. Kevin Ashley, who founded Java House in 1999, said the company has plans to open outlets in Kigali, Dar es Salaam, Lagos, Accra and Lusaka. For now, the company’s only outlet outside of Kenya is in Kampala, Uganda. “We see in five years’ time, we are going to be having a major presence in most of the major urban centers of Africa,” he told REUTERS at his office over one of his Java outlets, which offer coffees, teas and a menu of international food. His ambition reflects the general mood and confidence of Africans across the continent on rising consumer spending. Ashley, who sold 90 percent of the company to a venture capital firm with interest in Africa, Emerging Capital Partners (ECP) for an undisclosed amount in 2012, said there was growing demand for the company’s products, from a cup of coffee worth $1.50 to $10 steaks. “We can’t keep up with the growth of our customer base in Africa so we have enough to keep us busy,” he said. Annual revenue for the company in 2014 was more than 3bn shillings ($29 million) and expected to reach 4bn shillings next year, Ashley said, adding that the company has been funding growth from its own revenue. He said that a new store would usually cost about 50 million shillings to set up. His firm could finance as many as 15 stores a year but practical considerations have limited them to 12. “That is a nice problem to have,” he said. Emerging Capital Partners (ECP) plans to sell its Java stake in 2017. Ashley said all options, including an Initial Public Offering, would be considered. In Kenya, most coffee houses are in Nairobi, but the company has outlets in four other towns and plans to add three more centres within a year. It has started the Planet Yoghurt brand, an outlet serving frozen yoghurt and has one pizzeria outlet, called 360 Degrees, but Ashley said it was keeping its focus on coffee. ‘We don’t want to become the hyena that smells meat in two different corners and then tears himself into two pieces and dies right on the sport because he can’t decide which way to go,” he said.